Karoro Primary School’s average performance in Primary School Leaving Exams (PSLE) over the three years, 2009-2011 was 52% whereas its mentor school, Kirosha Primary, averaged 85%. Last year, Kirosha was one of the two primary schools in Mwika that achieved 100% pass rate! 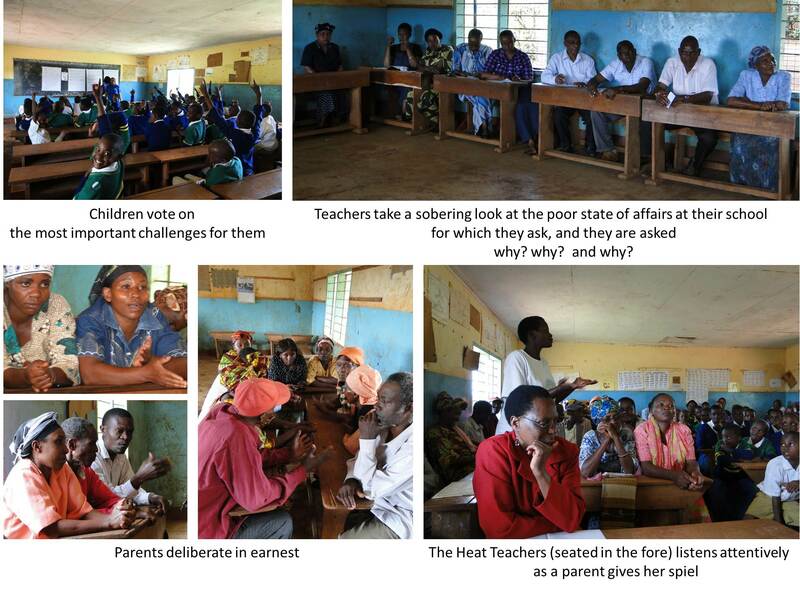 Focus group discussions revealed weak parental support, a dirth of books, a rift between parents and teachers. Students want more exercises and asked for their days to start with exercises and end with it, not just in Standard VII. Teachers responded positively and promised to do so a week from hence. After being informed by the Rotary simple foods they can set aside from the previous night for their children’s breakfast, parents promised to give children breakfast before they go to school from the very next day. Within two weeks parents and school will come up with a plan for parental contribution for book purchases and school lunch. Improvement comes in small steps which are carefully and faithfully executed….